Euro Bank to France: Cut Spending Now! WASHINGTON — In another twist in the ongoing Obama scandals, News Corp., the owner of the conservative Fox News, says it never received subpoena records from the Department of Justice. 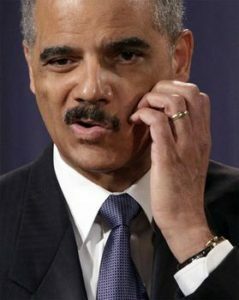 Reuters said that Fox News is still reviewing its records for any notification from Attorney General Eric Holder’s subordinates, regarding the seized phone records of their reporter James Rosen. Rosen’s phone records were seized in August 2010, and the DOJ was supposed to notify Fox News, but former News Corp. general counsel Lawrence Jacobs said, “I have no memory of it” when asked if he saw a notification. Jacobs had been the general counsel through 2010. This is the latest twist in the DOJ scandal, where federal investigators tapped into phone lines of the Associated Press (AP) and upset the general press for violating their rights and privacy. As we at AIM reported, the AP was visibly upset and called this a “massive…intrusion” by the federal government and inhibited their ability to report news. NBC’s Lisa Myers played dumb, saying that “it’s hard to imagine” that Obama would have approved wiretapping.